BAYAN Muna Reps. Teddy Casiño and Neri Colmenares yesterday filed a bill that aims to keep alive the memory of those who stood up to the martial law regime, which lasted from September 21, 1972 to February 25, 1986. “However, nearly four times that number – 2,250 – or 77 percent of all victims were salvaged. Many were tortured, mutilated and dumped on a roadside for public display to create widespread fear,” he added. “We hope that by taking the necessary steps toward redressing these gross violations, the long-overdue process for remembering, for recording and for atoning can be established so that the nation can come to terms with the past,” he said. 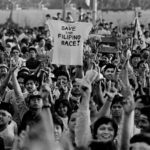 The bill mandates the Commission on Human Rights, Department of Education, National Historical Institute, Philippine Information Agency, the premier state schools and universities, and the other appropriate agencies of the government, to take the lead in activities that aims to remember the martial law.